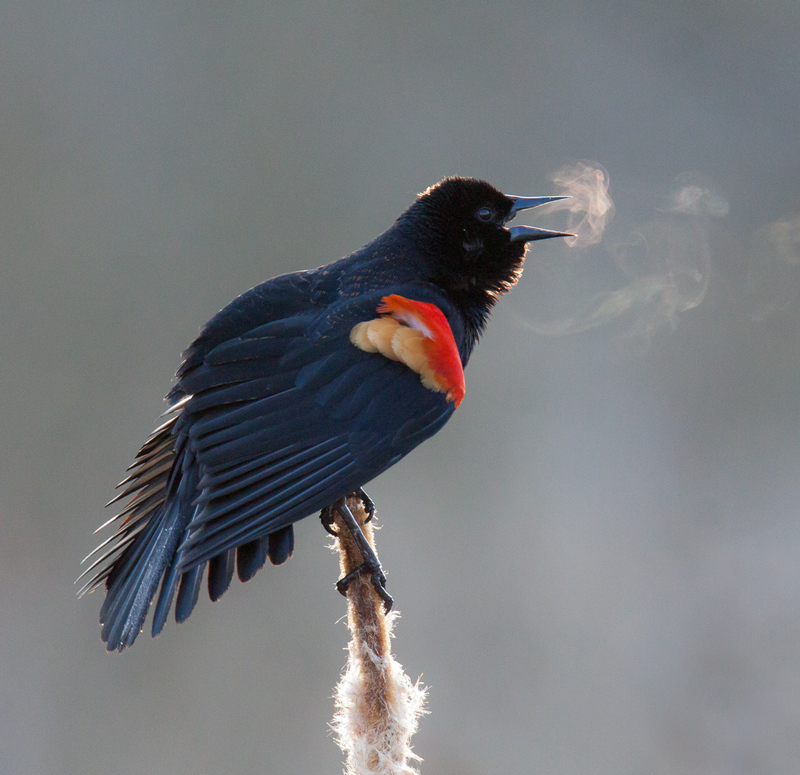 “Environmental bird portraits” is a fancy way of saying that I was not able to get close enough to my subjects to isolate them and fill the frame. Although that is true, I like the way that these three images give you a sense of the environment in which the birds were found. 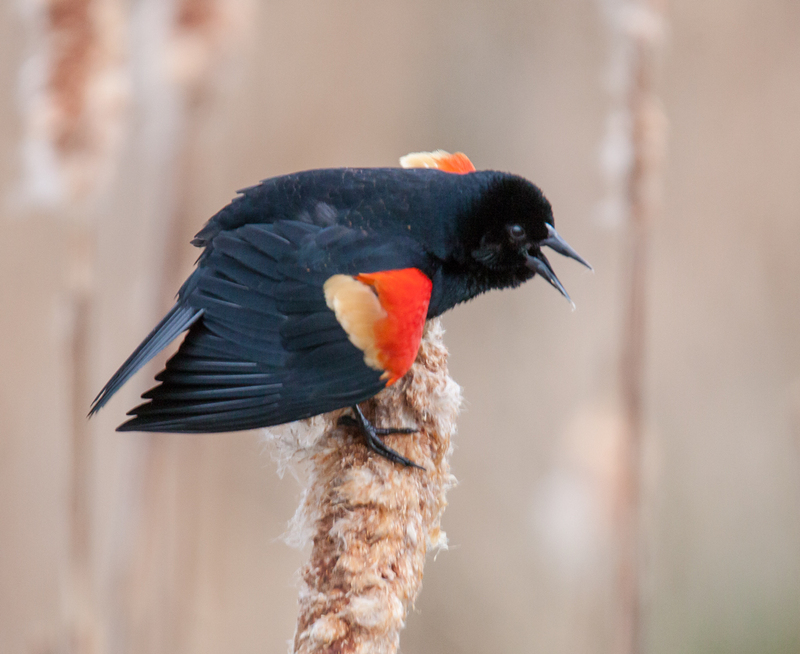 Often I try to get so close enough to my subjects with a telephoto or macro lens that I lose sight of the “big picture.” These images, all of which were taken last week at Occoquan Bay National Wildlife Refuge, give you some sense of the variety of birds and environments that I encounter when I am out with my camera. 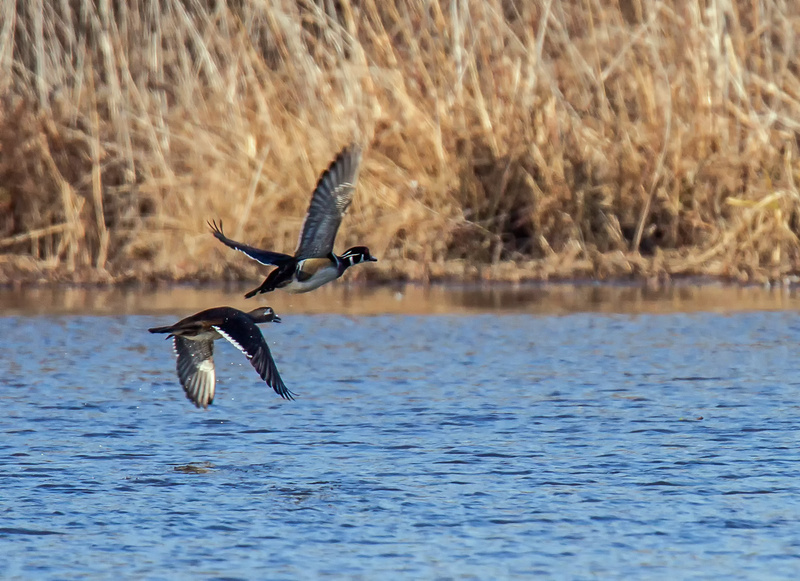 The first image shows a pair of colorful Wood Ducks (Aix sponsa) that took off as soon as they detected my presence (and I was a long way off from them). The male is the one that is in front, with the female just behind him. The second image shows a Sharp-shinned Hawk (Accipiter striatus), the smallest hawk in the United States. 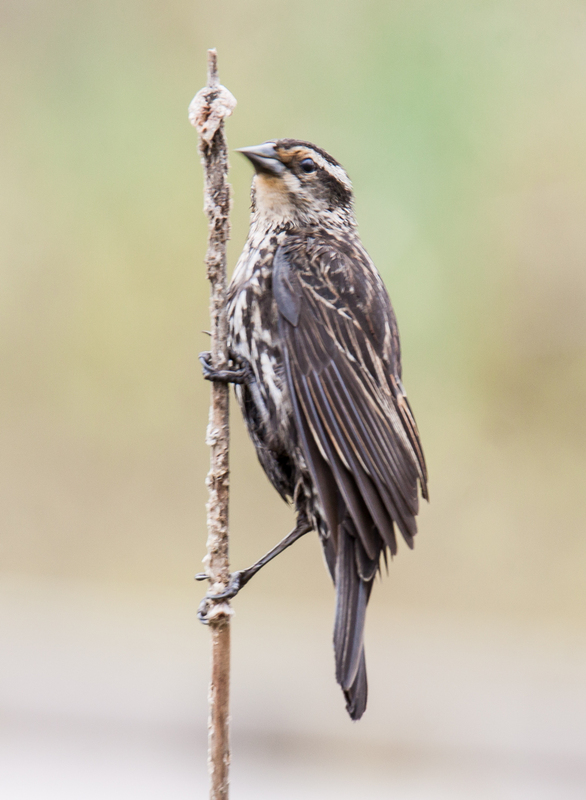 This bird was the toughest one for me to identify and I had to seek assistance from some experts in a Facebook bird forum. 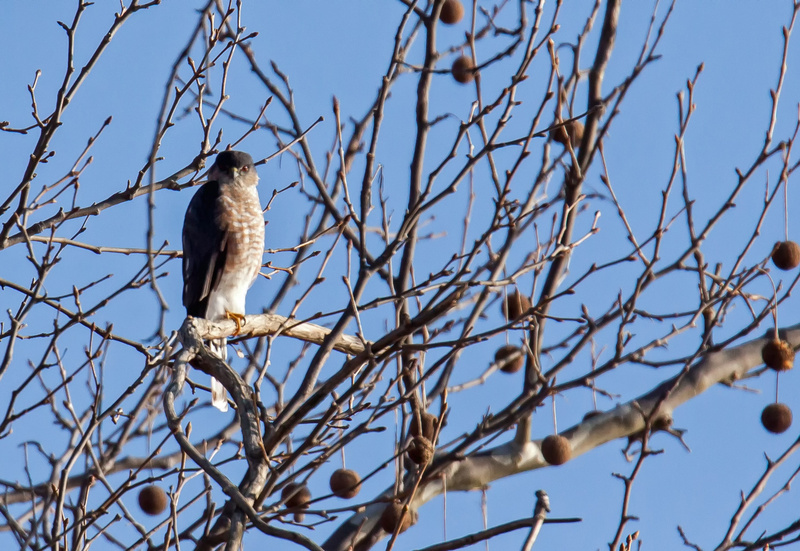 There was some discussion about whether this was a Sharp-shinned Hawk or a Cooper’s Hawk, another small hawk, but prevalent view was the it was the former. 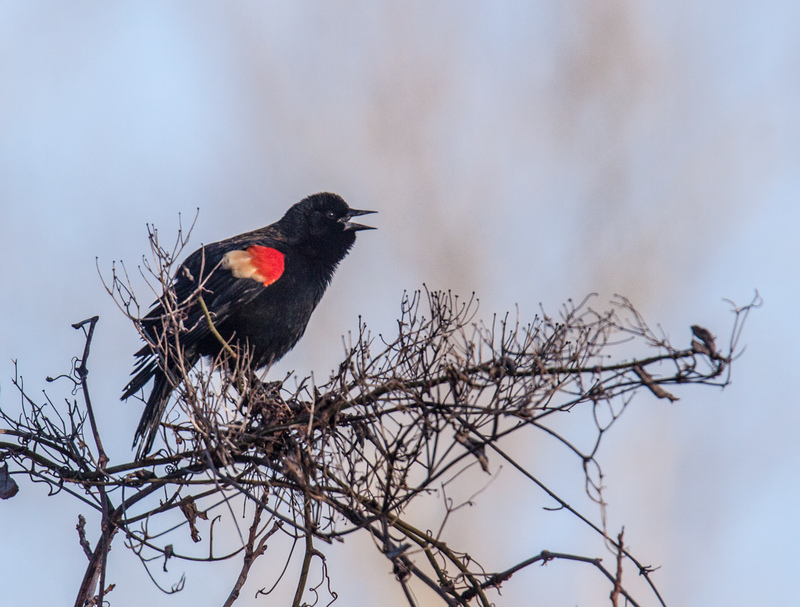 The final image shows a male Red-winged Blackbird (Agelaius phoeniceus) as he sang out loudly from atop a tree. 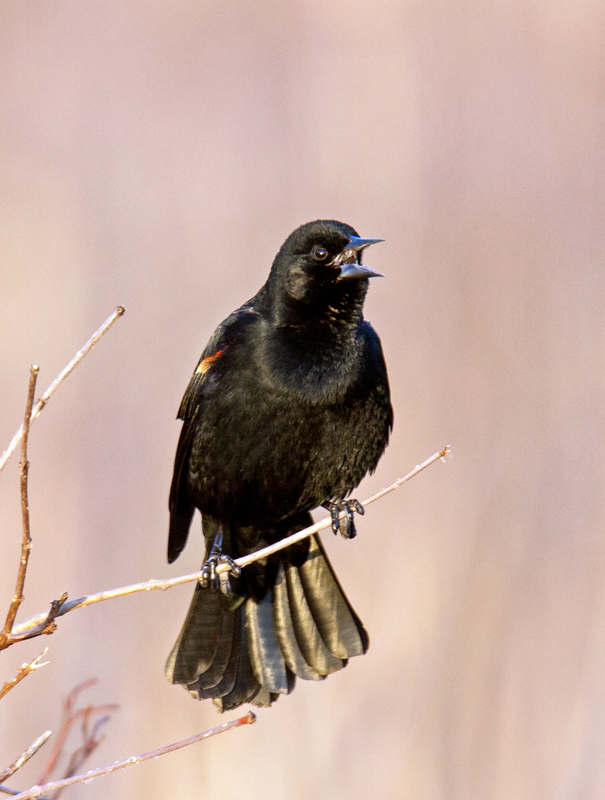 Male blackbirds are definitely not shy and the volume of their enthusiastic songs and calls is amazing, i.e. really loud. WordPress data show that I have published 2768 posts and have had approximately 170800 views. Those posts have included 429649 words (about 155 words per posting) and well over 3000 photos. The importance of my blog, though, cannot be expressed merely in numbers. More significantly the blog has helped me to develop relationships with a lot of different viewers, to share with you the different steps on my meandering journey into photography. Thanks to all of you for helping me along the way and sharing your comments, suggestions, and recommendations. I especially owe a debt of gratitude to Cindy Dyer for motivating me throughout this entire period, for pushing me at times when I was hesitant, and for serving as my muse. Thanks, Cindy. To celebrate this anniversary, I thought I would reprise a few of my favorite photos. These are not necessarily my most popular images or my “best” images, but they are ones that are particularly memorable to me. I am also including links to the original postings so you can read the accompanying text and additional commentary about the circumstances under which they were captured. 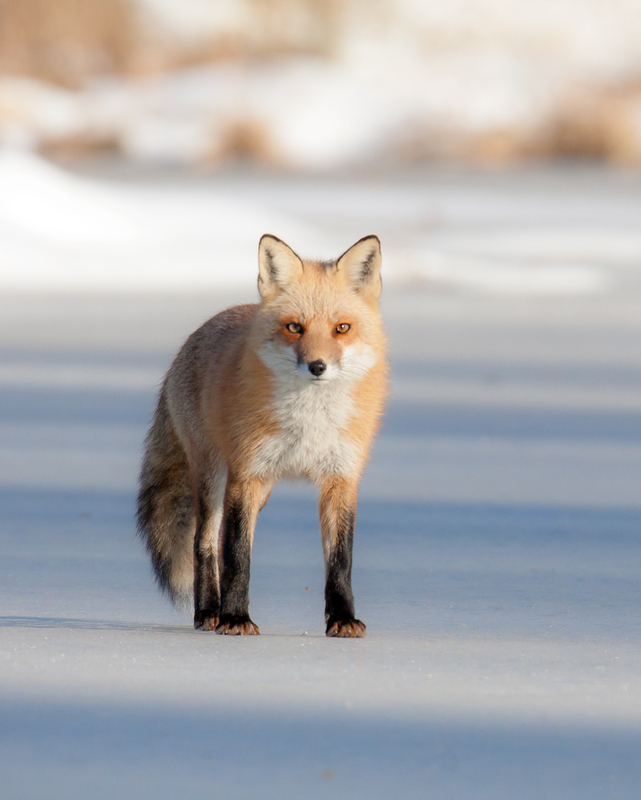 Links to original postings: Visible Song (8 March 2016); Fox on a frozen pond (31 January 2016); and Rescue of an injured Bald Eagle (4 November 2014). Thanks again for all of your support and encouragement over these past six years. The journey continues onward. 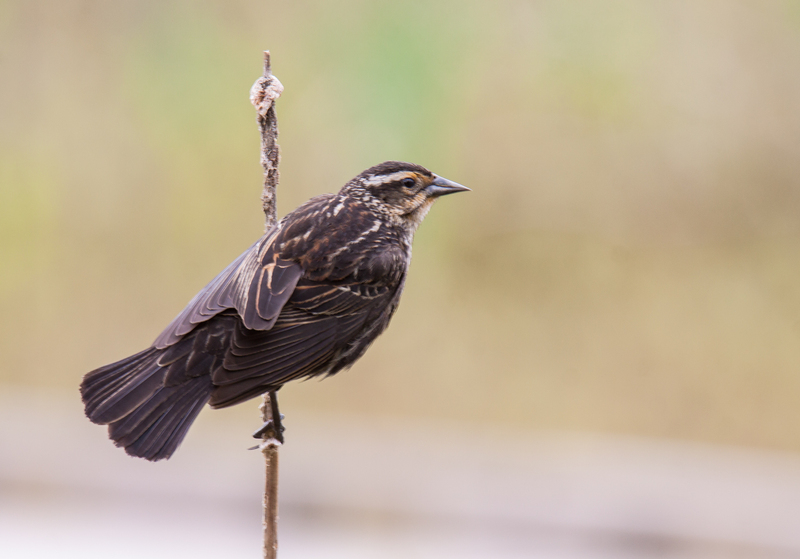 The composition of these images couldn’t get much simpler, but I think that they help to highlight the beauty of this female Red-winged Blackbird (Agelaius phoeniceus) that I spotted last week at Huntley Meadows Park. 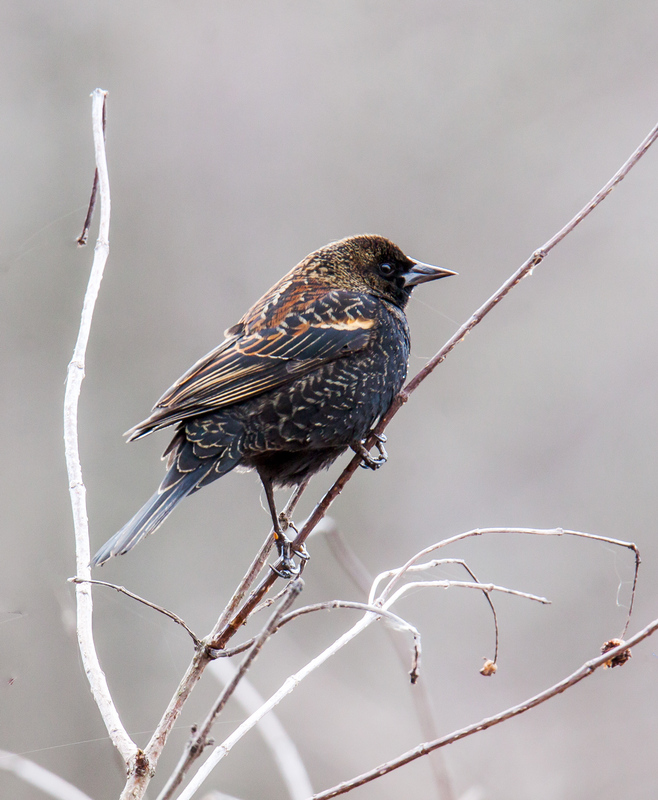 Normally female blackbirds forage down low inside the vegetation, so it was a real treat to find one perched out in the open. 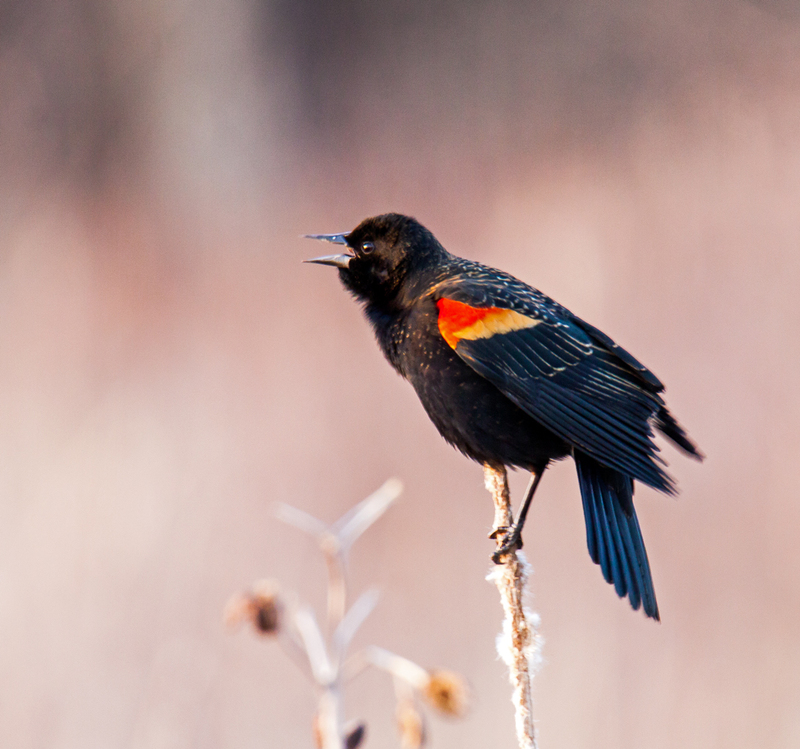 Female Red-winged Blackbirds are special to me because they were one of my first subjects when I started to photograph birds. 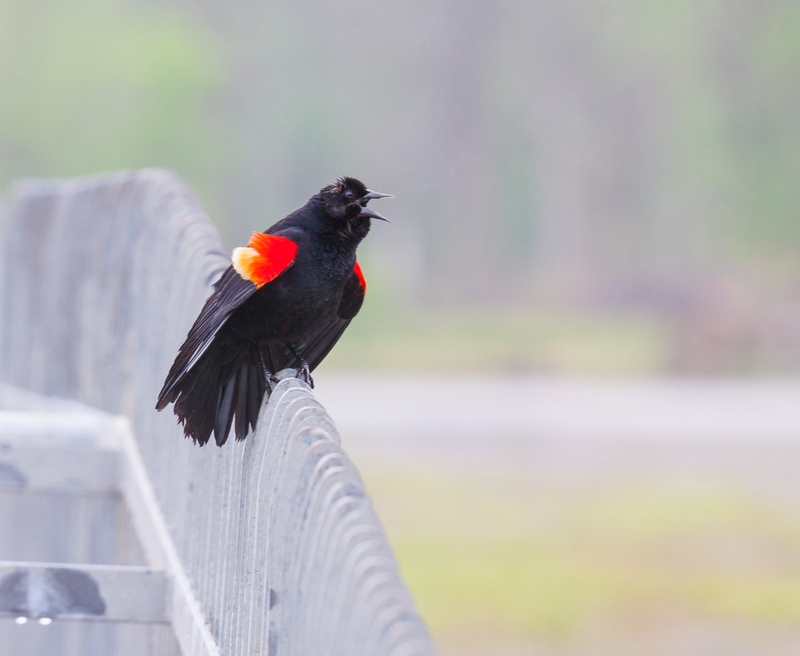 I remember well my surprise when I learned that this bird was a red-winged blackbird, given that it clearly was not black nor did it have red wings. 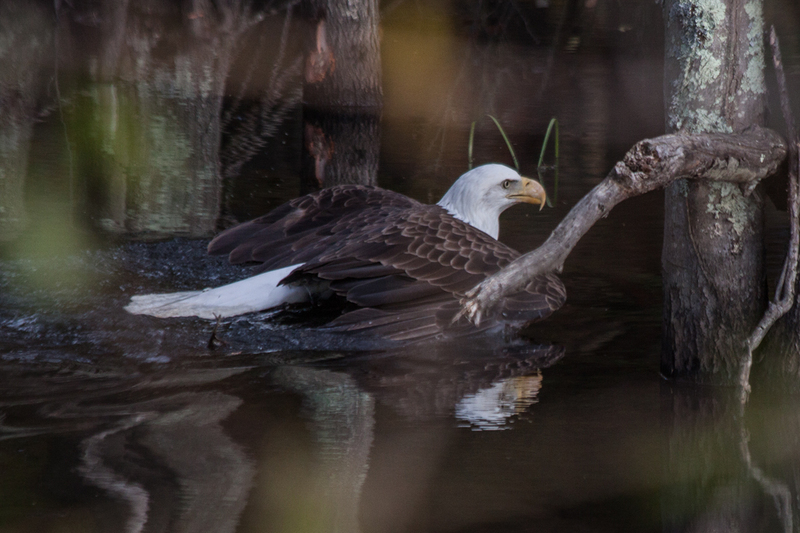 I’ve learned a lot about bird identification since that time and birds have become one of my favorite subjects.